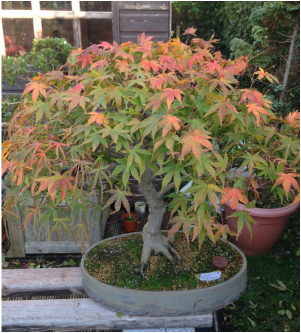 'Shichi-go-san' With 3 leaf types on the same tree, the 'Shichi-go-san' (3-5-7) is named after a Japanese festival Planted in a 'Mo' pot. 2015. In a pot by Terre o vert, France. 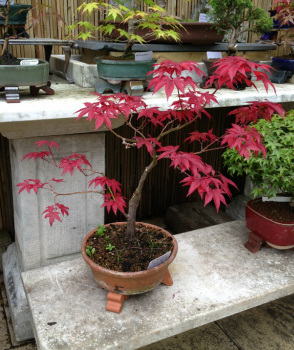 Spring 2016 re-pot into a soft blue oval by Koyo.